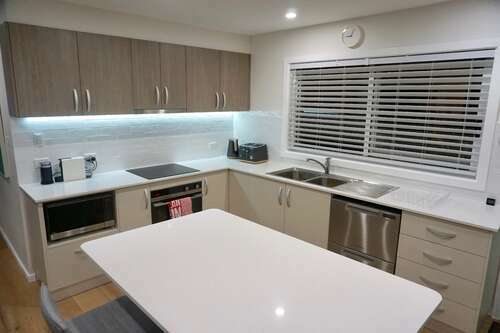 Elements of Hyams - fully renovated. Water views. 1 minute walk to beach. JUST LISTED !! RENOVATION FINISHED TODAY !! 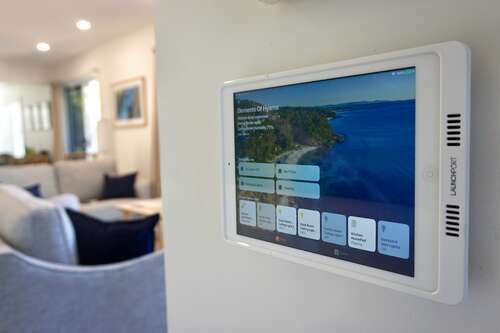 Views over Jervis Bay and the National Park, fully air conditioned, smart lighting. 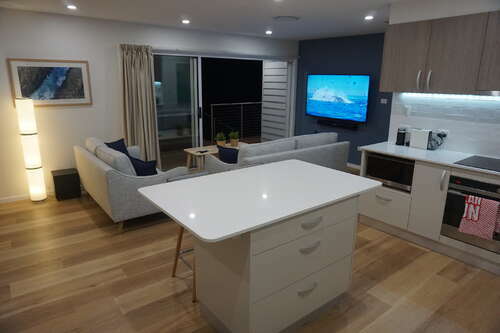 Elements of Hyams is positioned in the sought after Northern end of Hyams Beach, a stones throw from the famous white sands of Chinamans Beach. 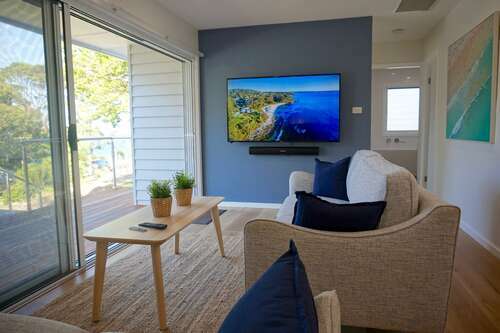 The property overlooks the leafy Jervis Bay National Park and the entrance to the White Sands Walk, which winds it way around the coastline past many of the local pristine beaches. 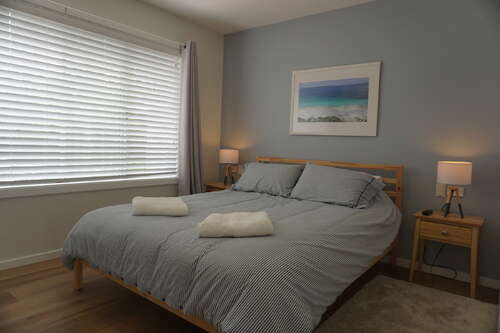 The property has been recently renovated inside and out with new fittings and furniture, tastefully presented with soft beach tones. The crystal clear waters and white sands of Jervis Bay are just a short walk away, about 50m from the property to the beach entrance. Relax and enjoy the views of Point Perpendicular and Jervis Bay from the front deck. Hyams Beach Cafe is an easy 10 minute stroll from the property. Elements of Hyams is single storey with 3 bedrooms and 2 bathrooms. The island kitchen flows into a main living area adjacent to the front deck, while a second living area is situated next to the master bedroom at the western end of the house. 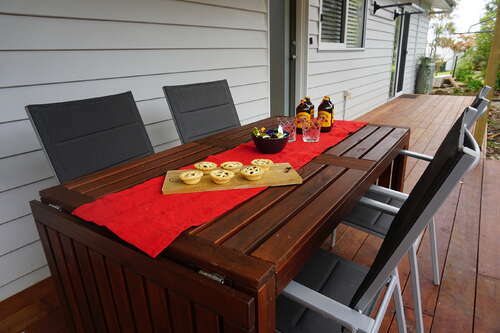 The front deck overlooks Jervis Bay and the National Park while the back deck features a magnificent scribbly gum tree. Outdoor areas are well lit and can be enjoyed day and night. Bedroom 1 - queen bed, 2 bedside tables, 2 bedside lamps, wardrobe. 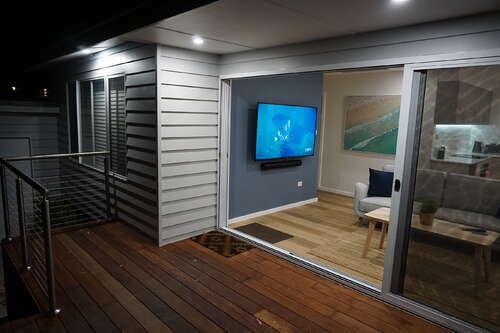 A sliding door opens onto the rear deck to enjoy the afternoon sea breeze. Wall mounted TV & DVD player included. Bedroom 2 - queen bed, 2 bedside tables, 2 bedside lamps, wardrobe. Wall mounted TV & DVD player included. 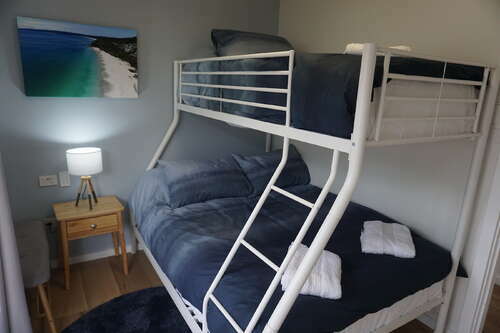 Bedroom 3 - Bunk bed - double on the bottom and single on the top. 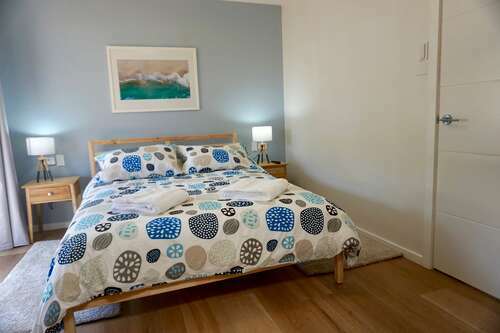 Bed side table, lamp & built in wardrobe. 1. Open plan lounge, dining & kitchen. The living areas are combined and lead out to either the front or the rear decks. The TV is a 65inch LCD and an Apple TV is provided so you can log into your Netflix, Amazon Prime, Kayo Sports or other account. 2. 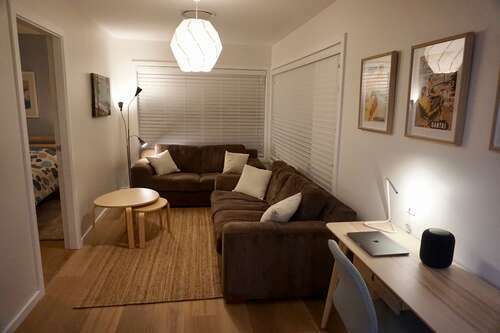 The second living area has a comfortable lounge with mood lighting, workstation and Apple HomePod. everything to cook up your gourmet creations. A Nespresso coffee machine is supplied. 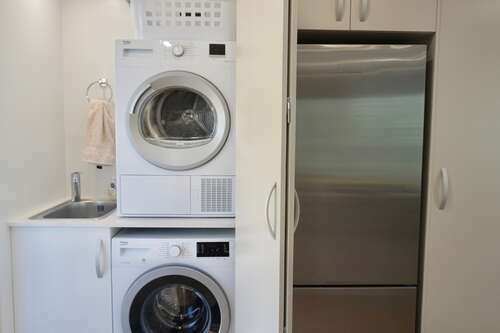 A European-style laundry is provided, including a front load washing machine and clothes dryer. All linen and towels are provided including sheets, pillowslips, bath towels, hand towels, bathmat, face washers. All pillows and quilts, blankets are provided. 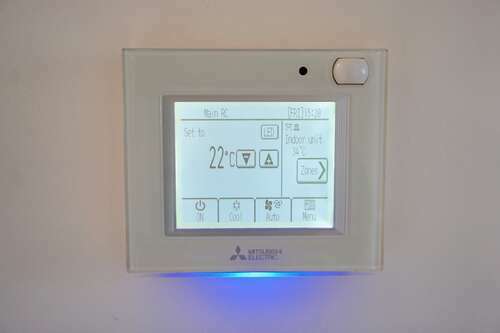 Elements of Hyams is fitted with dual zone, reverse cycle ducted air conditioning. There is room for 3 cars parked in the 2 driveways.